Transition from sand to surf to snack bar with ease in the Chaco OutCross Evo Mary Jane women's water shoes. 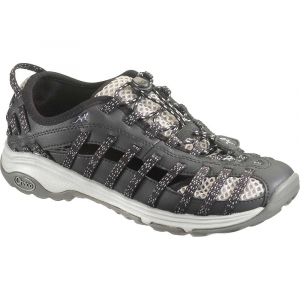 They sport supportive footbeds and a water-ready design wrapped in classic Mary Jane style. CLOSEOUTS . 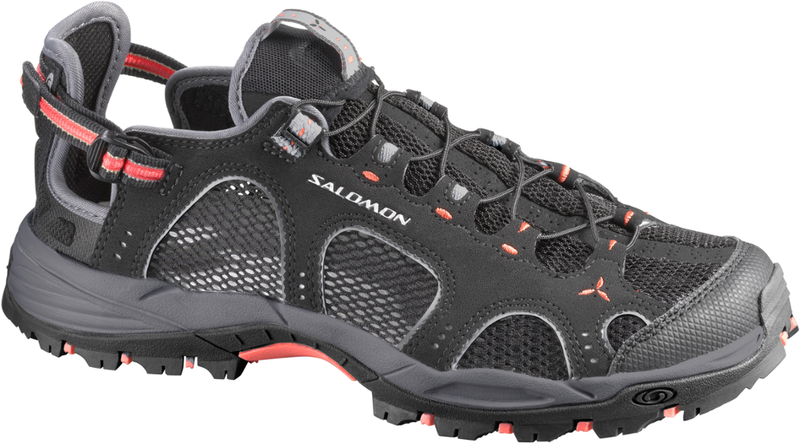 For trail- and water-ready performance in a stylish Mary-Jane silhouette, Chacoand#39;s OutCross Evo Mary Jane shoes take the cake. 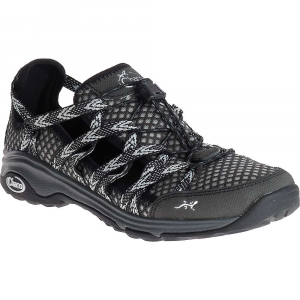 A breathable, open-mesh upper and foot-securing adjustable straps offer a light, drainable, customized fit, and the grippy-sturdy outsole is ready for anything. Available Colors: BLUE MOON, MECCA, MISTY JADE, QUITO GRAPEFRUIT, QUITO BLUE, BLACK, QUITO PLUM, VIOLET QUARTZ, TEAL. Sizes: 6, 6.5, 7, 7.5, 8, 8.5, 9, 9.5, 10, 10.5, 11. After trudging around the big island for miles looking for that perfect waterfall, hop right in without a second thought while everyone else is peeling off their socks and shoes and pulling water-shoes out of their packs. 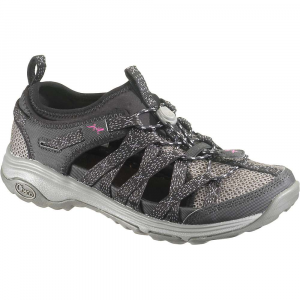 The Chaco Women's Outcross Evo MJ Water Shoes have a breathable mesh upper that keeps your feet feeling free and that dries quickly after a dunking, while the protective toe cap and heel protect from rocky trails. 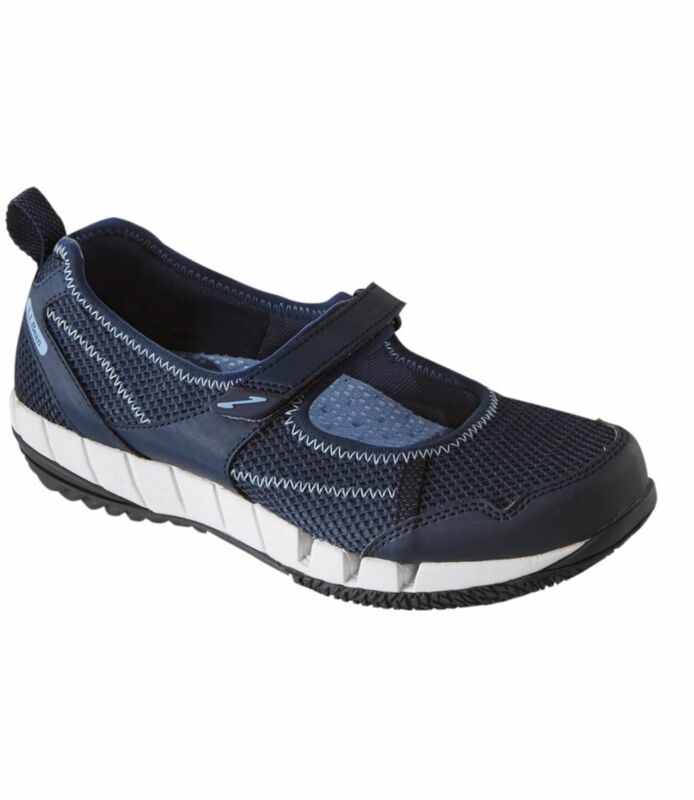 Barefoot construction with an instant-comfort EVA footbed requires no break-in time, while the women-specific Luvseat midsole with nylon support shank gives plenty of support for longer hikes. So take the plunge, and think later ... although, you might want to remember to take your camera out of your pocket. 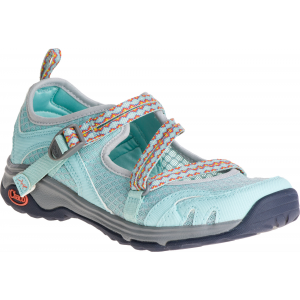 The Chaco Outcross Evo Mary Jane is not available from the stores we monitor. It was last seen April 16, 2019	at REI.